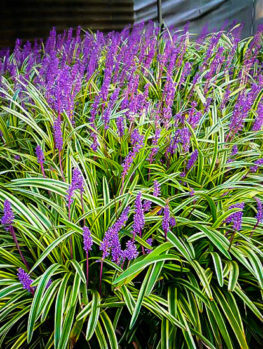 Maiden Grass is an eye-catching grass with narrow, upright and arching leaves that reaches 5 feet tall. It grows in dense clumps, never spreading sideways, and in summer tall flower spikes grow up to 8 feet tall, topped with silvery tassels fluttering in the breeze. 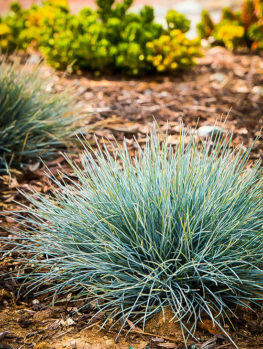 This ornamental grass is hardy to at least zone 5, and grows in sheltered, well-drained gardens in zone 4 as well. 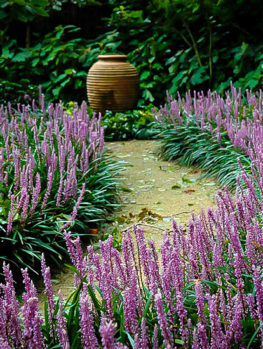 Use it as a lawn specimen, behind smaller flowers and shrubs, or mass planted for screening or filling empty spaces. It grows well in coastal areas, and it is deer and rabbit proof too. Everywhere – from a cottage to a formal garden or a modern town garden – this grass is pleasing to the eye and easy to grow. Maiden Grass grows in any well-drained soil, and thrives under ordinary garden conditions, in hot or cooler areas. 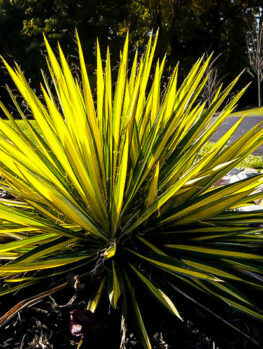 Water regularly when newly-planted, but established plants are drought resistant. 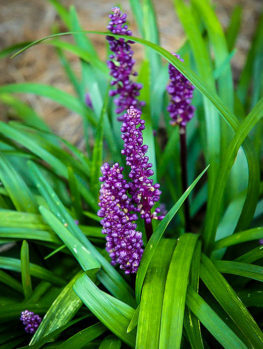 It thrives in sunny places, or in very light or partial shade, and the only care needed in a once-a-year cutting back to 3-6 inches tall, in spring. New growth will emerge and grow quickly once warmer weather arrives. Transplant only when in growth, in late spring and early summer. 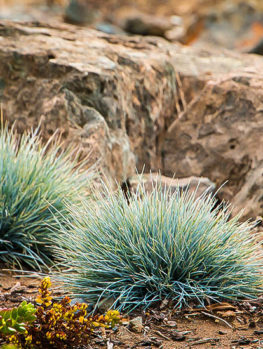 Growing larger ornamental grasses is an effortless way to bring variety and interest to your shrub beds, and other parts of your garden. Their graceful, swaying habit and dramatic flower spikes give a unique look, like nothing else. Their increased popularity is also because they are so easy to take care of – no staking, spraying, elaborate pruning or other maintenance tasks are required. 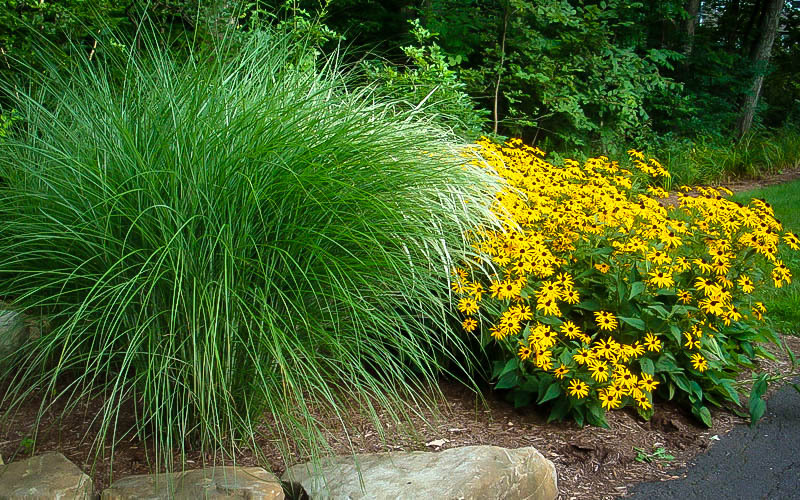 Many taller grasses can be invasive, so they become a problem over time. But other grasses are never invasive, and this is where Maiden Grass steps in. 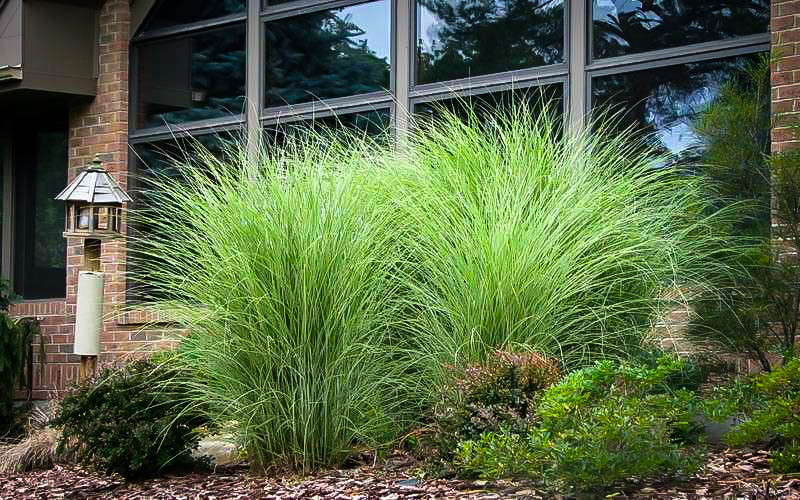 Maiden Grass is a medium to tall grass, with the leaves reaching about 5 feet tall, and the plant in flower making an impressive 8-foot-tall clump. It grows into a mound of many narrow leaves, first thrusting up, and then arching over. Each leave is green, and between ¼ and ½ inch wide. The leaves can be up to 6 feet long, from ground to tip, but as they arch over the clump is usually 4 to 5 feet tall. This fast-growing plant will soon thicken, with many leaves in a clump that is 3 to 5 feet across. 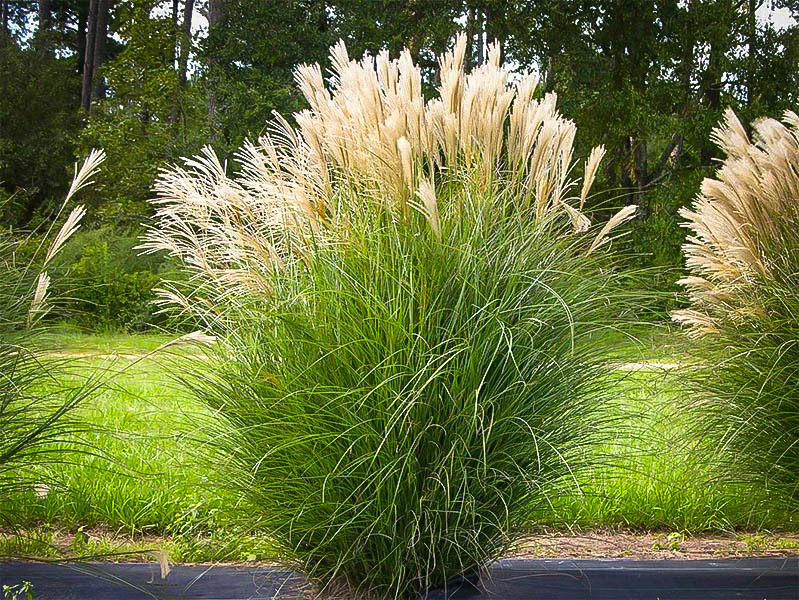 This plant stays in a clump, and it does not spread sideways at all – so it never takes over where it isn’t wanted, and it doesn’t choke out surrounding plants – a truly ‘well-behaved’ grass. If you have a smaller garden, you may find the Adagio Maiden Grass more suitable, as it only grows about 3 feet tall, or 4 feet in flower, and about 3 feet wide. In August, thicker stems carrying the flowers emerge from the clump, rising in time to 8 feet tall. These produce large plumes at the end, made up of many long tassels, that flutter in the breeze. They begin purplish in color, and change to silver, sparkling in the sunlight. A mature clump in flower in a scene of great beauty. In fall the leaves change color from green to golden shades, overcast with bronze, looking very dramatic. Both the leaves and flowering plumes hold well in winter, even with snow, and these plants make striking winter features. Their beauty lasts for most of the year. Maiden Grass is hardy to at least zone 5, and also into zone 4. In colder zones full-flowering may not be seen, as flower spikes may not emerge until September. In those areas this grass is grown and enjoyed primarily for its graceful foliage. Use Maiden Grass as a lawn specimen – dramatic surrounded by clipped turf. 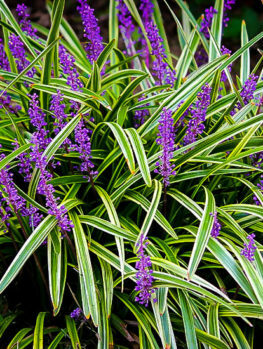 Use it among shrubs and larger perennials in borders. Mass plant for screens or accent, or to fill corners. It looks just as beautiful and appropriate in an ultra-modern city garden as it does in a wilder cottage garden. Create a prairie-style garden with a variety of ornamental grasses and perennial plants, using trees and larger shrubs for accents. Since this plant is salt resistant it looks great at a coastal cottage too. Grow Maiden Grass in full sun, although it will tolerate some light shade. It will grow well in most soils, but it thrives in slightly moist but well-drained soil, with moderate fertility. To provide this, prepare the planting spot by digging some rich organic material into it, and mulch over the roots every year or two to maintain that fertility. Do not bury the clump under mulch – leave a few inches around it clear. Good drainage is important. Once established, plants are drought resistant, deer and rabbits usually leave them alone, and they have no significant pests or diseases either. The only care needed is to cut back the clump to 3 to 6 inches tall in spring. Maiden Grass is a warm-climate grass, so it needs at least 2 weeks of warm weather to begin to spout again. In cooler areas this can be into the month of May. Do not move the plant around when it is dormant – wait until there is about one foot of new growth before disturbing the roots. Maiden Grass (Miscanthus sinensis) is native to Japan, China, Taiwan and Korea. 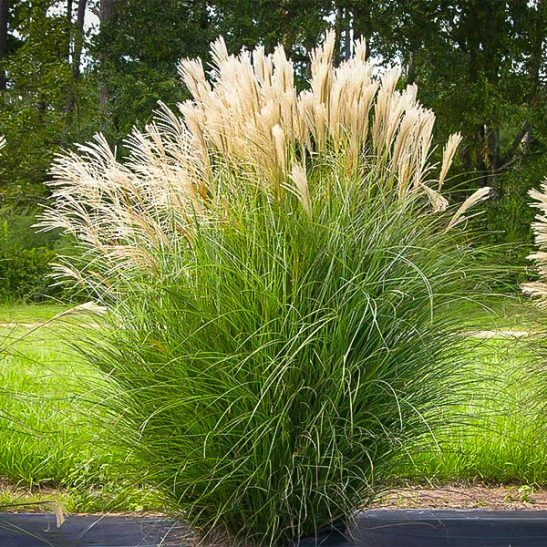 It should not be confused with the similar, but usually much taller, Silver-grass (Miscanthus sacchariflorus) which is not recommended for most gardens, as it is invasive and difficult to eradicate. You don’t have to worry about this at all with the clump-forming Maiden Grass. Wild Maiden Grass grows 7 to 12 feet tall, and has broader, coarser leaves, ½ to ¾ of an inch wide. The wild form of Maiden Grass is very vigorous, and instead of growing this form in gardens, the most popular is an older variety called ‘Gracillimus’. This is the selected form we are stocking, which is shorter, with more graceful, narrower leaves. This preferred variety cannot be grown from seed, and plants are produced by careful division of larger lumps in spring. Today, Maiden Grass is at the top of the list for all grass-loving gardeners, so we know that our stocks will not last long. 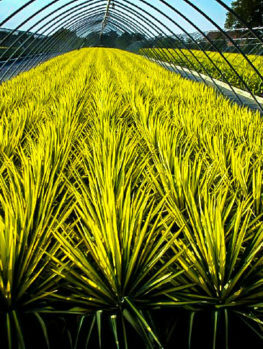 Order now and enjoy this most dramatic and useful grass for gardens!